Acacia Boutique Hotel is uniquely styled, family owned hotel which offers old Victorian charm & modern living in a fantastic location, on the seafront, a short walk from the Douglas business area. Ample car parking space nearby. The Claremont Hotel is a three floor white seafront townhouse on the promenade of Douglas Bay on the Isle of Man, with views over the Irish Sea. Beautifully designed rooms and a premium sea view location, The Claremont Hotel in Douglas offers high quality accommodation in the Isle of Man. Free Wi-Fi. Guests can dine at the hotel's Coast Bar and Brasserie, open daily for breakfast, lunch and dinner. Glen Helen Inn is located in a picturesque glen setting with beautiful gardens on the west side of the Isle of Man. Near one of the most famous corners of the TT course & TT radio commentary points. Walking distance of Tynwald Hill, Tynwald Mills Shopping Village, Arboretum at St Johns. 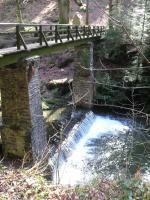 The nearby glen hosts superb walks to the famous Rhenass falls. Peel is 4 miles (5 min. drive) away with its ancient castle, beaches, marina. Built in the 19th Century and completely renovated at the end of the 20th the Regency Hotel offers 48 contemporary, comfortable hotel rooms and a first class restaurant. The public areas have been sympathetically restored and feature a wooden panelled bar and dining room. Large flat screen TVs and DVD players, free chilled soft drinks/mineral waters and complimentary internet access are standard in all bedrooms. The Sefton Hotel in Douglas is a luxurious 4 star hotel, perfectly situated in the Isle of Man's capital. A sympathetic mixture of a fine restored Victorian hotel and a new extension set round a unique water garden, forms the relaxing, calm and beautiful hotel with a 2 Rosettes awards winning restaurant. Town House is a terraced Victorian building over 3 floors. Ideally located for business guests as it is on promenade in the commercial area of Douglas, Isle of Man. Six apart-suites with breathtaking views over the harbour. Free Wi-Fi. Free telephone calls to land lines worldwide. Conference/ Meeting Rooms. 40" flat screen TV with VGA cable, Sky TV with 8 premium channels with a choice of movies, One Bedroom Apartments (Sleeps up to 4).